The LEGO June 2018 Store Calendar has just been uploaded to the LEGO servers and we are here to dissect what June has in store for us (no pun intended). 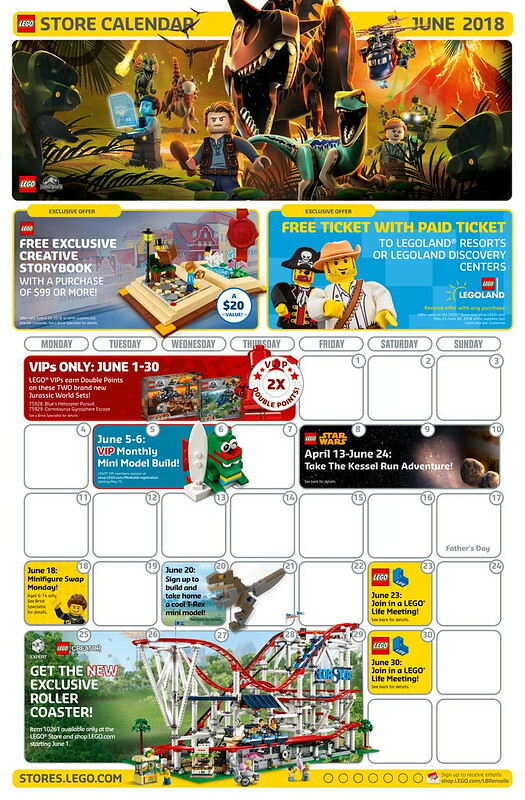 As for special releases/new sets, the LEGO Roller Coaster (10216) will become available starting June 1st and there will also be an free exclusive creative storybook seet for purchases of $99 USD or more. 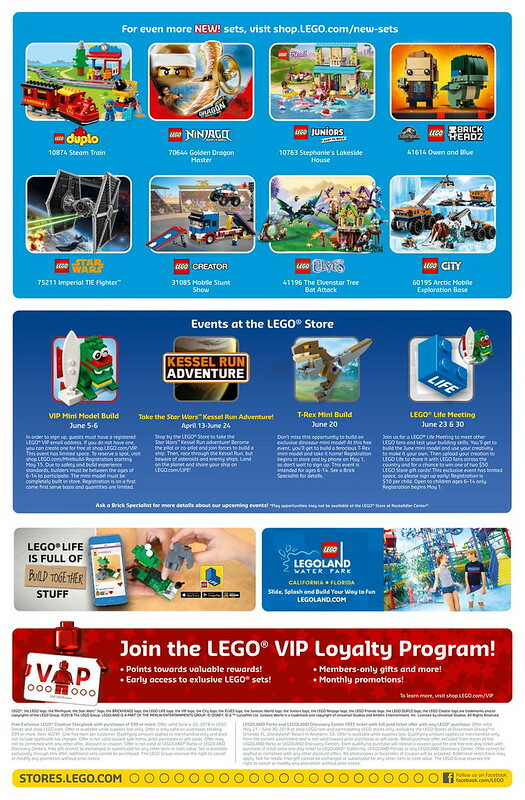 If you’d like the see the original LEGO store PDF calendar, Click Here.